Coagulation Line. Reagents modified for high sensitivity. 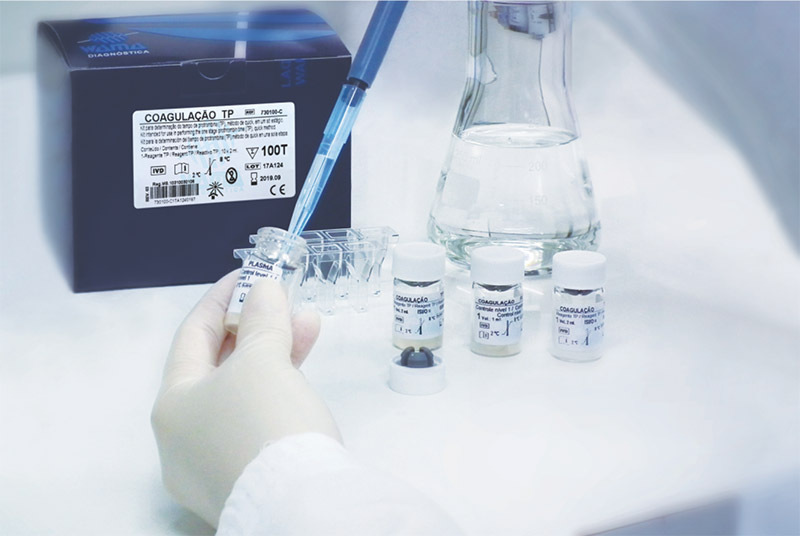 Kit intended for qualitative determination of fibrinogen in plasma. Control Plasma 1 is intended to use in quality assurance of in vitro diagnostic coagulation tests. Moderately elevated Plasma for in vitro coagulation tests control. Highly elevated Plasma for in vitro coagulation tests control. Kit intended for use in performing the one stage Prothrombin Time (PT), Quick method. Kit intended for use in determining activated partial thromboplastin time (APTT).